Forget Willpower – The Nine Most Addictive Foods Made Alkaline! No Need for Willpower – The Nine Most Addictive Foods Made Alkaline! When it comes to your diet, and your food decision making ability – willpower is unreliable and flawed. In the context of today’s modern World, with processed, highly refined, chemically-created foods – willpower simply does not work. What makes me say this? I mean, isn’t this what we’ve always been told – that “you need more willpower” to be able to resist naughty foods right? To keep addictions like coffee, chocolate, sugar and cigarettes at bay you’ve got to use your willpower, right? It doesn’t work like that. Willpower isn’t some part of our character, that we either have a strength or weakness of. Nobody really has that much more willpower than the next person (it is slightly affected by genetics, but not a lot). Willpower is quite simply a function of your brain. It takes care of focus, task performance, emotions as well as decision making and choices. And there are two reasons why it cannot be relied upon to help you to stick with your diet or lifestyle choices. Firstly, there is the phenomenon of ‘decision fatigue’. This now-widely accepted concept only really came to the fore in the late 90’s (ref) when studies showed that each day willpower is a finite resource. When you are faced with something requiring self-control, it uses up your supply of willpower. This is willpower’s flaw #1 when it comes to your food choices. Secondly, the fuel of willpower is unreliable. The 2nd flaw is that it effectively runs on glucose. The more up and down your blood sugar levels, the more erratic your willpower will function. Is it any wonder that as the day goes on the likelihood of you crashing and eating foods you know you shouldn’t skyrocket? Most people only have about fifteen minutes of self-regulatory capacity available at any given time, and so many influences deplete it. Remember willpower isn’t only about whether you resist the cookies or not. Any activity requiring focus, from reading to checking emails, to writing that assignment vs reading a gossip magazine – these all deplete your willpower reserves. Our brains were not designed for this modern life we lead. But we can still thrive. We just have to adapt our strategies so we’re not relying on willpower, our outdated hardware, to help us navigate our modern food choices. If we work with what we CAN control, we can effortlessly bypass temptation, keep consistency and continue to nourish our body and thrive. It just takes a little bit of focus and some new strategies. And that’s what I’m here for today! 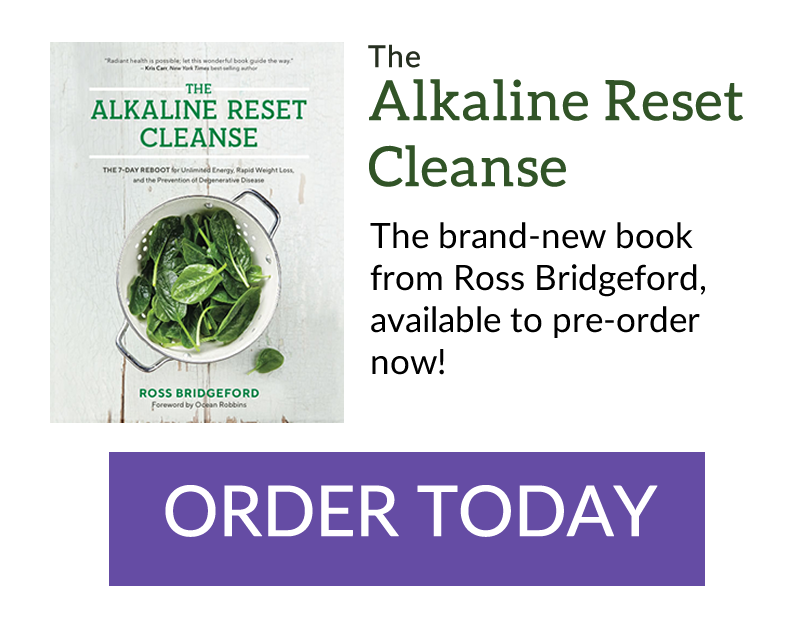 Before you go further – do you want my full guide to swapping acidic, addictive foods for nourishing, alkaline foods? click here (or the image below) and you can get my Alkaline Swap THIS for THAT Cheat Sheet – it covers all of the most common, convenience, addictive foods and gives you two alternatives for each that you can try right away! It’s Not Your Fault, Not Only Is Willpower Outdated But Food Companies Have Been Exploiting It! A recent study showed that 20% of people are addicted to certain foods. I’d say that number could possibly be higher. But this isn’t surprising. If you distrust of Big Pharma (you possibly should, but that’s a whole other discussion), then you should also have healthy skepticism about what I call “Big Food” manufacturing marketing. Big Foods are the mega-brands of fast, packaged and refined foods found in the middle aisles of the supermarket (the stuff in a colorful box or crinkly plastic wrapper) and any fast food chain restaurant. .
Ninety-nine percent of Big Food manufacturing companies (such as Coca-Cola, Mars, General Mills, McDonald’s, Nestle) operates with one guiding goal: To get you addicted to their products so you buy as much and as frequently as possible. As long as you’re buying, they don’t give a damn whether their products are healthy. They spend billions to create foods that are the perfect blend of salt, sugar, unhealthy fat and man-made chemicals, so that it’s practically impossible to eat just one. It’s a formula, a recipe for addiction. They’ve cracked the code, and they know exactly what they’re doing in creating it. These foods are engineered to be “hyperpalatable” – so they taste super good. They contain huge amounts of nutrient-poor calories, and send us on a blood-sugar spiral that completely depletes any willpower reserves we would have had left. We’ve probably all heard about the studies showing that sugar is as addictive as cocaine, but really this is just scratching the surface when it comes to the arsenal of sweeteners and chemicals they have at their disposal. These foods light up the pleasure centre of the brain like a Christmas tree too, releasing dopamine, and the brain gets hooked. It’s not pretty. And it’s easy for these food manufacturers to exploit. And when you couple this – the purposefully addictive nature of packaged foods with the flaws of willpower – you can see why it’s easy to slip up. Unless…as I mentioned before…If we work with what we CAN control, we can effortlessly bypass temptation, keep consistency and continue to nourish our body and thrive. It just takes a little bit of focus and some new strategies. And that’s what I’m here for today! Today we’re going to try to remove the traps. We’re going to look at the most commonly addictive foods and swap them for alkaline, nourishing, antioxidant, nutrient-rich alternatives! The Nine Most Addictive Foods Made Alkaline! Cheese is surprisingly addictive at a deep level. It’s not just ‘tasty addictive’ it’s actually ‘actual-addictive’! Why? Cheese contains an opiod peptide called casomorphin, that is released in the stomach as the body breaks down the casein in the cheese. Once upon a time, back before I went down this path of health, I visited a friend in Rouen and we went to a cheese restaurant and our entire meal was a big group vat of cheese fondue. We laughed and laughed that night, and have recollections of what we thought we made up as a ‘cheese high’. Turns out it’s true. We actually did have a high from the cheese! Remember – it takes about 10lbs of milk to make 1lb of cheese. I dread to think how much cheese we ate that night. Thankfully that is in my past! Cheese is acid-forming, and should most definitely be considered a treat, not a staple. You don’t need dairy for calcium (see my article here on bone strength and diet). It shouldn’t be a daily thing, but instead see it as a treat. As with all of these alternatives, it’s easier to consider alternatives when you think about the actual application/use of the food in particular dishes. It would be difficult to directly replace a high quality, artisan cheese on a cheese board, but the day-to-day uses can easily be swapped out. I’m not 100% convinced by ‘dairy-free cheese alternative’ products like soy cheese, as these seem to be quite processed too. So look for foods that can provide a similar texture or utility rather than seeking a like-for-like replacement. Instead of cheese in sandwiches look to something else creamy that adds substance such as avocado, hummus, nut butters or to replace the strong flavour use something really flavourful such as a roast tomato jam or salsa. It goes without saying that you should avoid gluten-containing breads too (see below). For cheese on top of things, like baked vegetables or a jacket potato try things like a vegetarian chilli, or simply replace the creamy/fatty hit with a glug of healthy olive oil, Himalayan salt and pepper. Experiment with herbs and spices too. Honestly, I also love guacamole on jacket potatoes to give that lovely, smooth creamy contrast with the hot potato (and also, sweet potato is always a more alkaline option than regular white potato). Chocolate is addictive. Hands-down, flat-out, addictive. Of course, it’s delicious, creamy, fatty, sugary etc and so it’s something that, when your willpower is smashed, you could easily succumb to. But more than that, chocolate contains enkephalin – a substance that triggers your opioid receptors, like morphine, and stimulates the brain to keep wanting more. A 2012 study published in the journal Obesity showed that both the craving for chocolate, and the pleasure from eating it, are very comparable to the cravings and feelings experienced in drug addiction. Of course, I highly recommend, if you’re a proper chocoholic, switching to very, very dark chocolate (not just dark chocolate, REALLY dark chocolate – minimum 70% cocoa solids) and limit yourself to just one square a day. Enough to just satisfy that craving. I don’t think too many people would binge eat really dark chocolate, so this is a good first step. Then you can (and should) switch to using cacao in your own recipes to create delicious, chocolatey snacks and treats. Pizza combines the addictive nature of wheat (see below) and dairy (see above), combined with a combination of fat, salt and the sweetness of pizza dough to create a pretty irresistible combination. According to research conducted at the University of Michigan in 2015 – pizza was actually rated as the most addictive food of all! Now, it’s important to point out with all the mentions of salt and fat that there are of course good salts and bad salts, and good fats, and bad fats…and big food tend to use the bad salts and the bad fats. Salt, fat and sugar are three ingredients they will use in varying combinations to create a very addictively delicious food – but remember, you can also use GOOD salts and GOOD fats to create your own irressistable, but healthy foods! Of course, you can easily swap in a gluten-free base, and avoid the dairy using the tips above, but I actually love the challenge of making a whole different pizza base. One option is a cauliflower crust, as you can see here at Minimalist Baker. OR you can use slices of eggplant/aubergine as make mini-pizza bases by simply baking this with veggies on top. Easy and delicious. Fast-food fries will always be addictive as they’re fatty, salty and often sprinkled with sugar too to bring home the addicting trifecta. But on top of this, many fast food chains will use what’s called ‘natural beef flavour’ to add to the addictive nature of this faux-food. As you’ll know if you’ve read much of my work or been in my alkaline coaching group – when it comes to additives ‘natural’ does not mean natural at all. In fact, many ‘natural flavours’ and ‘natural colours’ are actually a lot worse for you than the artificial ones! Now, back to this ‘natural beef flavour’ – this is made up primarily of hydrolyzed wheat and hydrolyzed milk – and not only are wheat and milk already on this list – but when you hydrolyze something the heat and chemicals used break down the food and produce MSG. MSG is proven to be a highly addictive, carcinogenic neurotoxin. MSG is also proven to disrupt your hormones called leptin and ghrelin (these are essential to weight loss and maintenance – see my guide on weight loss and hormones here for more). These two hormones are responsible for letting you know when you’re hungry and when you’re full. And when they’re out of balance you’re always hungry and never feel full. This is why you could eat an XXL box of McDonald’s fries and still be able to eat more – your brain isn’t registering that you’re full. Do you need any more reasons to ditch the fries? Homemade is always going to be the way here. There are rarely healthy fries available at a restaurant or in a shop. Your best bet to replace these in your life is to make homemade sweet potato or carrot chips. This simple recipe from the Nutrition Twins is a great place to start. You could also make beetroot, celery, zucchini or even broccoli stalk chips too! It gives you a chance to make a quick and easy snack and all you really need to do is cut the veg into chip shapes, cover in coconut oil and any herbs and spices you like (I like to use turmeric as often as possible – here’s a guide to getting it every day)! Then you simply bake them for 15-30 minutes (depending on the veg used and thickness of chip) and you’re set! All dairy is acidic (yes, milk is not good for you and doesn’t lead to stronger bones, it actually leads to weaker bones) but ice cream is the worst, most acidic foods because it’s just so dense! Something that is always scary is the amount of something alkaline needed to neutralise a strong acid – the ratio is 20:1. That means it takes 20 cups of something alkaline to neutralise 1 cup of a strong acid. Unfair isn’t it? This ratio is certainly true of milk – it would take 20 glasses of alkaline water to neutralise 1 glass of milk. Not good. But it actually works out that it would take twelve times as much, that’s 240 cups of something alkaline to neutralise ONE cup of ice cream! Crikey! This makes ice cream one of the most acidic foods you can possibly consume! It’s that bad. Truly. And remember, much like cheese, it takes 12lbs of milks to make 1lb of ice cream – always remember that. This is concentrated casomorphin all over again! And this doesn’t even take into consideration the additives, colourings, sweeteners and other chemicals and acidic substances that go into ice-cream to make it so addictive and sweet. You can certainly make your own non-dairy ice cream like this banana vegan ice cream here, or this salted caramel ice cream here. They’re still a bit high in sugar for my liking, but they’re a LOT better than regular store-bought ice cream that’s for sure! They’re definitely not alkaline-forming, but they are a huge improvement. Here’s a delicious sweet potato chocolate cake and my very quick and easy Coconut Chia Pots. So crisps. I’m sure practically every adult on planet Earth has dramatically overeaten these salty, greasy, ‘just one more’ badboys. Nobody can eat just one crisp. Again we’ve got that fat and salt but when you also add the crunchy sound and texture, the addictive nature of crisps grows ten times as strong. Fried crisps are a danger too – they contain a chemical known as Acrylamide. Acrylamide is a known mutagen, neurotoxin, and carcinogen and it’s higher in potato chips than practically any other food. And if you needed more convincing – eating potato chips is correlated with early death! Home made veggie chips are absolutely the win here. You can slice any root veg you like, coat with coconut oil, throw in some herbs and spices and roast on a low heat in the oven until ‘chip-like’. Absolutely delicious. Sweet potato is an obvious choice, but beetroot is also a favourite of mine. If you want to try something a bit different then kale chips are a thing! I also love to make my vegan Cauliflower ‘Buffalo’ Wings too! They’re a great snack alternative to chips. Along with causing sky-high inflammation, spiking blood sugar more than a chocolate bar and dramatically increasing the chance of leaky gut – bread is also physically addictive. hen you digest wheat, the wheat is exposed to pepsin (a stomach enzyme) and hydrochloric acid (stomach acid produced to digest it), and the gluten in the wheat is degraded to a mix of polypeptides. These polypeptides are shown to be able to cross the blood-brain barrier that separates the bloodstream from the brain. Once having gained entry into the brain, wheat polypeptides bind to the brains morphene receptor, the very same receptor that opiate drugs bind to. These polypeptides have been labelled ‘exorphins’ – short for exogenous morphene like compounds and this is what creates the mini-high followed by the mood and energy slump right after. Repeated exposure to these exomorphins (the dominant of which has been named gluteomorphin) leads to serious imbalance in the brain and has been proven to lead to a far higher likelihood of depression and schizophrenia. At the very minimum it immediately creates foggy thinking, daytime fatigue and physical sluggishness. Store-bought gluten-free breads are an obvious start, and wraps are even better…but better than those (in the packaged options) are sprouted breads and wraps. The reason I prefer these is that a lot of GF breads you buy at the shops are still so full of preservatives and are quite refined and processed. Yep, they don’t contain the gluten which is awesome, but they’re still not too natural. Sprouted breads, on the other hand, are far more simple, natural and contain way fewer ingredients. They’re a much better option. Better still is to make your own bread! Try this delicious, seedy GF recipe of mine – The Heavenly Gluten Free Bread. I also love simply replacing the bread with something totally different like using lettuce instead of wraps like this recipe here. Again, as with some of the others on this list, try to go for something completely different to bread for your meal. Bread and wraps are most often sandwiches for snacks or lunch. So fill your kitchen with the ingredients to have something completely different, yet still easy, quick and delicious for lunch. Goes without saying that soda (cola, lemonade etc) is addictive. The sheer volume of sugar would be enough, but on top of this there are the brain-damaging, acidic, pro-inflammatory flavourings and additives in soda that push it over the edge. Diet soda is potentially worse, as it contains the deeply disturbing aspartame. Aspartame kills neurons in your brain and causes a massive influx of free radicals that kill and damage neural cells. Aspartame is known as an ‘excitotoxin’ as it ‘excites’ the neural cells to death, and this process, shockingly, is addictive, but unsatisfactory. Artificial sweeteners like aspartame encourage you (well, your brain) to keep chasing a ‘high’ that the chemicals in the diet soda keeps forever out of reach. Even though my philosophy is built around not being perfect, having the odd treat, having fun and so on…I will always say, you just have to give up soda. This is where you can get really creative, there is so much you can do for delicious and natural flavour to replace the soda. I personally love to make fruit infusions like in my guide here – so quick, easy and delicious. And while sparkling/soda water isn’t as alkaline forming as still water (due to the carbonation process) it’s still fine as a treat and WAY better than soda! So try flavouring your sparkling water naturally with things like passionfruit, ginger, lemon, mint (not all at once…well, actually that could be nice!). Remember, juiced fruit is not ideal, so keep the fruit as just the hint of flavour. With coffee there are a few things you need to replace, as it’s not only chemically addictive due to the caffeine (and for some folks dairy and sugar too), but it’s also socially addictive too. It’s part of your routine and therefore you’re breaking the habit as much as the addiction. Certainly feel free to slowly transition away from caffeine so you can avoid the headaches etc. I recommend doing this over a process of 7-10 days, for instance if you’re a 3 large lattes a day person, first move to 3 lattes, then 2, then 1, then to a small latte, then to a small latte every other day, then just on the weekend and so on. You’re not meant to give everything up. Not on my watch, anyway. Your journey from wherever you are now to the health of your dreams should be a joy, the journey should be relaxed and fun – not a chore. You shouldn’t be dealing with cravings and feelings of deprivation and ‘pushing through’. No-pain-no-gain does not feature in my coaching. I truly believe that getting to the best health and vitality you’ve ever had, amazing, abundant, all-day energy – and feeling confident and in love with your body – this should be something EVERYBODY has all day, every day – and I hope this guide helps move you towards that goal. And if you’ve loved it, or if you’ve only had time to quickly skim through – download the full Alkaline Swap THIS for That guide by clicking on the image below. It goes into a lot more foods and gives you quick and easy swaps with a printable 3-page cheat sheet! Pursey KM, Stanwell P, Gearhardt AN, Collins CE, Burrows TL. The prevalence of food addiction as assessed by the Yale Food Addiction Scale: a systematic review; Nutrients. 2014 Oct 21;6(10):4552-90. Bray, G.A., Nielsen, S.J., and B.M. Popkin. 2004. Consumption of high-fructose corn syrup in beverages may play a role in the epidemic of obesity. Am J Clin Nutr. 79(4):537-43. Caroline M. Apovian, MD. 2004. Sugar-Sweetened Soft Drinks, Obesity, and Type 2 Diabetes. JAMA. 2004;292(8):978-979. doi:10.1001/jama.292.8.978. Matthias B. Schulze, DrPH; JoAnn E. Manson, MD; David S. Ludwig, MD; Graham A. Colditz, MD; Meir J. Stampfer, MD; Walter C. Willett, MD; Frank B. Hu, MD. 2004. Sugar-Sweetened Beverages, Weight Gain, and Incidence of Type 2 Diabetes in Young and Middle-Aged Women. JAMA. 2004;292(8):927-934. doi:10.1001/jama.292.8.927. Furmaga-Jablonska W, Jablonski M, Pluta R. Fried potato chips and French fries–are they safe to eat? Nutrition. 2011 Oct;27(10):1076-7. Thürer A, Granvogl M. Generation of Desired Aroma-Active as Well as Undesired Toxicologically Relevant Compounds during Deep-Frying of Potatoes with Different Edible Vegetable Fats and Oils. J Agric Food Chem. 2016 Nov 30;64(47):9107-9115. Willpower fails, it’s a scientific fact and genetics… I’m really interested in learning more. But I didn’t see any scientific references. Would you provide them please. What about moringa tea. It’s suppose to be high in calcium. Is this something good to drink? Chocolate, or rather cocoa, is in fact very good for you. The problem comes in it being processed with both dairy and sugar. I enjoy 85% chocolate, but not everyone likes that. Some with GI problems may find cocoa a trigger and must be careful. Hey Rob – not sure I follow, but I really hope you’ve been able to get it!